A storybook for the whole family! 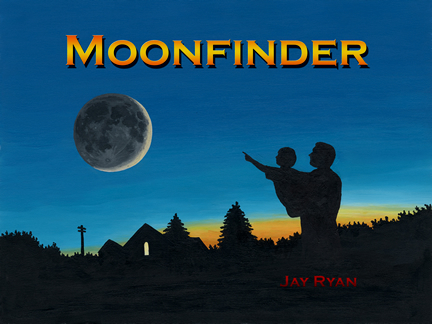 Moonfinder is the story of a little boy who learns about the phases of the moon with his dad. With Moonfinder, every member of the family can learn how to follow the monthly cycle of the moon’s phases! Safely view the Sun during the 2017 Total Solar Eclipse or anytime! Finally! 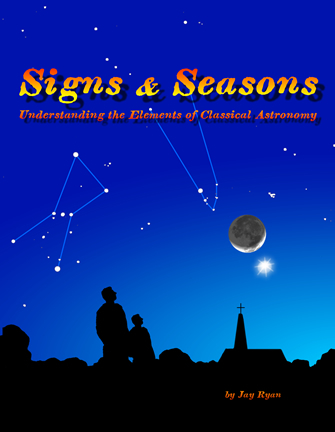 A homeschool curriculum for teaching the traditional constellations, identifying the planets, and following the seasonal cycles of the Sun, Moon, and stars. Created especially for ages 13 and up but usuable with younger students under parental guidance. By popular demand! 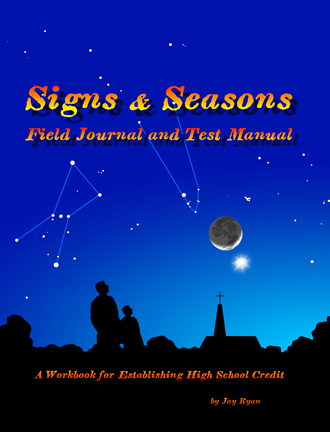 An accompanying workbook to Signs & Seasons especially for highschoolers. Record observations of the sky and take tests to measure the knowledge learned. Includes maps and other graphical tools for furthering your student’s understanding of the sky.